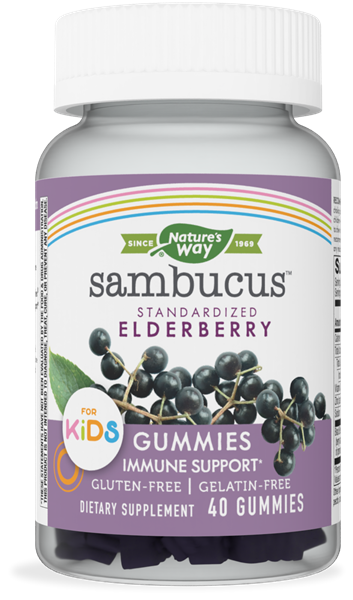 Sambucus Kids Gummy 40 ct - Nature's Way®. Not for children under 2 years of age due to choking hazard. Children 2-3 years of age, chew 1 gummy daily. For children 4 years of age and older, chew 2 gummies daily. Instruct child to chew the gummies thoroughly before swallowing. Do not exceed the recommended daily dosage.